Wadada Leo Smith (born 1941) first picked up the trumpet at the age of 12 and it seems as if he hasn't put it down since. His studies Took him from his local high school to the U.S Army to Chicago and to Wesleyan University in the mid-1970s. But his adventures in modern creative music and the creation of his own musical language began in Chicago in 1967 when he met Anthony Braxton, violinist Leroy Jenkins,, and later drummer Steve McCall. Mr. Smith also became involved with the Association For the Advancement of Creative Musicians (AACM) which gave him a forum for his music and willing participants in making sure the music was played and heard. Over the decades that followed, his working and his teaching has taken him from Chicago to New Haven, CT, to CalArts in Santa Clarita, CA, and back to New Haven. He has traveled the world, played music with many different people and in many different styles but he always sought to educate his audience (whether the subject be the music of Miles Davis or the history of Black Music, nature, politics, Rastafarianism, and more. He has played solo, in many duos, trios, quartets, and up to large orchestras. His trumpet is always calling is to attention, making audiences pay attentions, his crisp, clear, tones rising out of his ensembles making us pay attention. 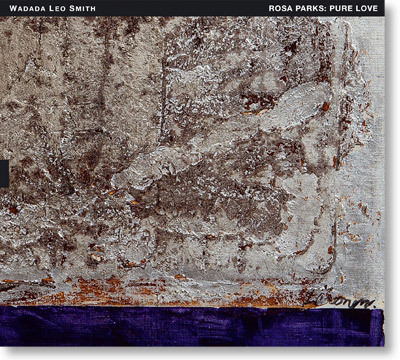 His latest album (to be released February 15), "Rosa Parks: Pure Love", is his eighth recording for TUM Records to be released since 2011 and continues Mr. Smith's work about Civil Rights that began with his brilliant 2012 Cunieform recording "10 Freedom Summers." That album's material stretched from Dred Scott to Medgar Evers to JFK and LBJ to the Little Rock Nine to September 11, 2001, to Dr. Martin Luther King, Jr, and beyond. There was also a piece titled "Rosa Parks and the Montgomery Bus Boycott, 381 Days." That piece is here as well now with words, performed by Min Xiao-Fen (voice and pipa) and the RedKoral (String) Quartet. 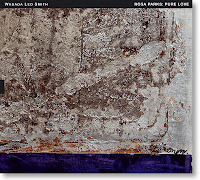 For this project, the music (which Mr. Smith calls an "oratorio") tells a specific story of how that victory over racism set the the stage for the growth of the Civil Rights Movement in the 1950s and the emergence of Dr. King. Besides Ms. Xiao-Fen and the RedKoral Quartet (violinists Shalini Vijayan and Mona Tian, violist Andrew McIntosh, and cellist Ashley Walters) musicians on the album include the BlueTrumpet Quartet (pictured left and featuring Hugh Ragin, Ted Daniel, Graham Haynes, and Mr. Smith, the vocal trio Diamond Voices (Ms. Fen, Carmina Escobar, and Karen Parks) drummer Pheroan akLaff, and electronic musician Hardedge. Mr. Smith also injects into several pieces short excerpts of solo works created by Mr. Braxton, Mr. Jenkins, Mr. McCall, and himself taken from recordings made between 1969-1977. Mr. Smith wrote all the lyrics save for one piece "No Fear" that is a direct quote from Rosa Parks (1913-2005). If you lived through this time of American history, this music and these words contain great power. If you were born after the the 1960s, this recording and these words will begin to educate you about what was happening in the Southern part of the United States. 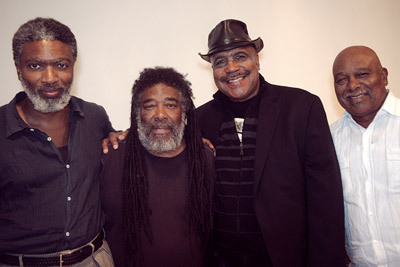 It is also important that Mr. Smith acknowledges how this project - in fact, all of his work - has its roots in the friendships, the improvisations, the concerts, that he, Mr. Braxton, Mr. Jenkins, and Mr. McCall played in 1967 (in the US) and in 1969 (in Paris, France). Still, there is so much to take in, the various sounds, the voices, the blend of group sounds, the importance of what Ms. Parks accomplished with her act of defiance, and how this music invites us in to experience the fears, the anger, the hopes, the dreams, the victories, and the ongoing battles that still plague the United States over 63 years after Rosa Parks refused to move from where she was sitting on a Montgomery, Alabama, bus. 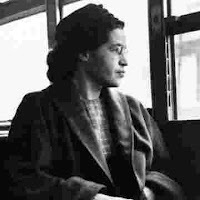 "Rosa Parks: Pure Love" is an album to listen to all the way through, not to be excerpted, chopped up, or played piece by piece. There is a flow from beginning to end, a storyline writ by music and words that comes to an end all too soon. This album cannot paint enough pictures to help you experience those days, how the African American community pitched in to defeat the racist policies of a city determined to keep them second-class citizens. Yet, this album opens (for some, reopens) doors that one must enter to understand how we got to now, how the politics of 2019 is built upon the responses and reactions to the events of the 1950s (and before) and the misguided beliefs of certain members of society that have been ingrained since before this country became United. The enemy of this music is fear and ignorance - is it possible to create dialogue with music? This music, like most powerful music, needs to be experienced in a live setting. 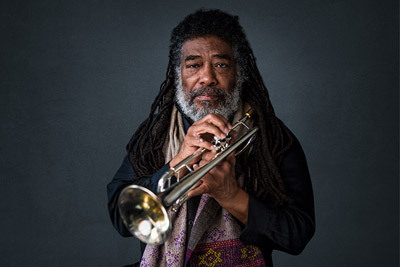 Wadada Leo Smith continues to create powerful music, continues to remind us of our history and to pay attention to the beauty as well as the contradictions that surround us. He reminds to also pay attention to those beliefs and insecurities that make us who we are and can lead us down the road to ruin or redemption. For more information, go to wadadaleosmith.com.